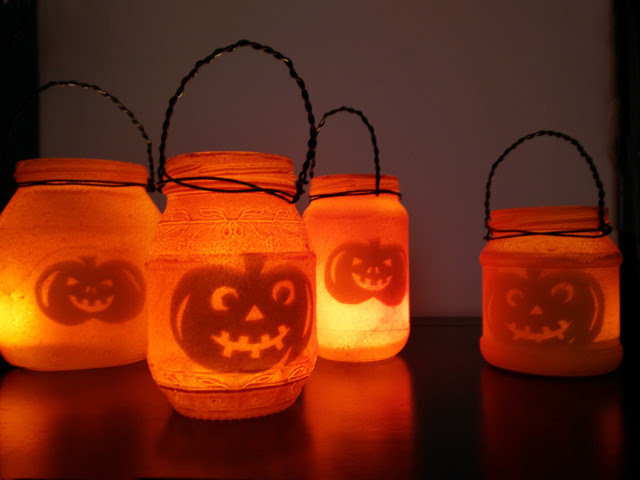 These spooky Halloween lanterns made from recycled jam jars are a quick and easy recycled craft project for Halloween. 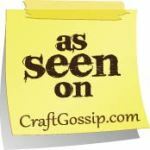 Put candles inside them to see the spooky silhouettes flicker through the glass for a great Halloween decoration. 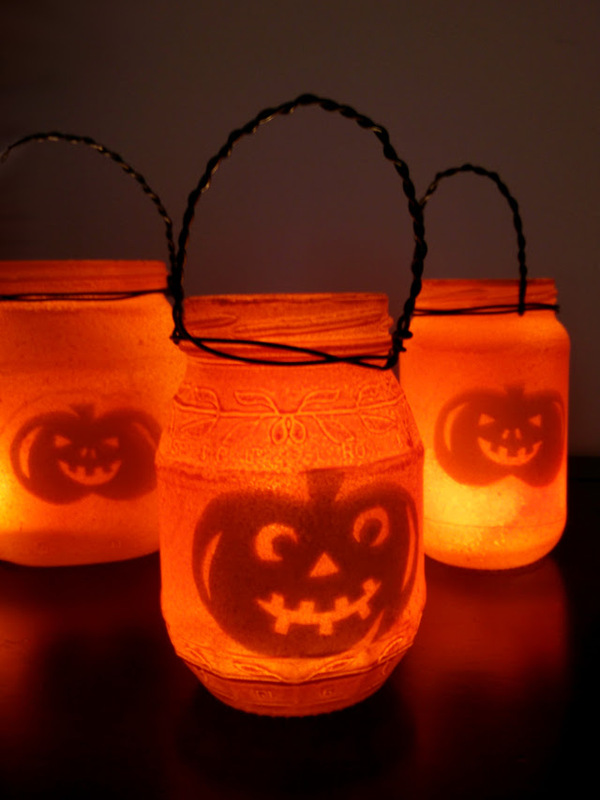 These Halloween lanterns made from recycled jam jars are so easy to make. 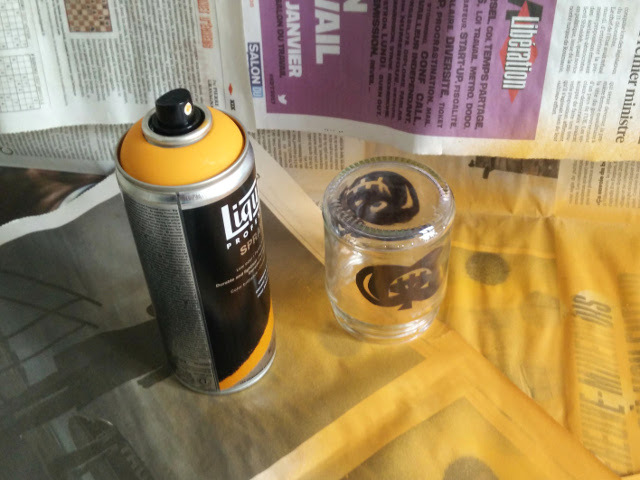 Just cut out a spooky image and stick it inside the jam jar, then spray paint the outside orange. Without a candle it just looks like an orange jar, but with candle light you can see spooky shadows showing through! Follow these 4 easy steps to make them for yourself. 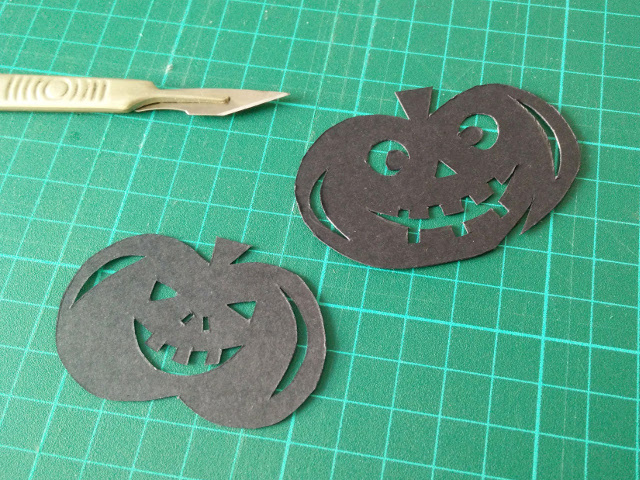 Choose what spooky shapes you want to put in your lanterns. 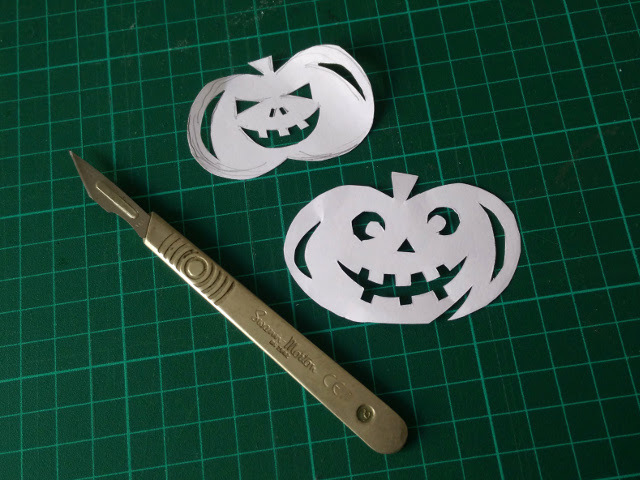 I used pumpkins, but you could try anything you like: ghosts, bats, witches, skeletons, skulls, zombies etc. 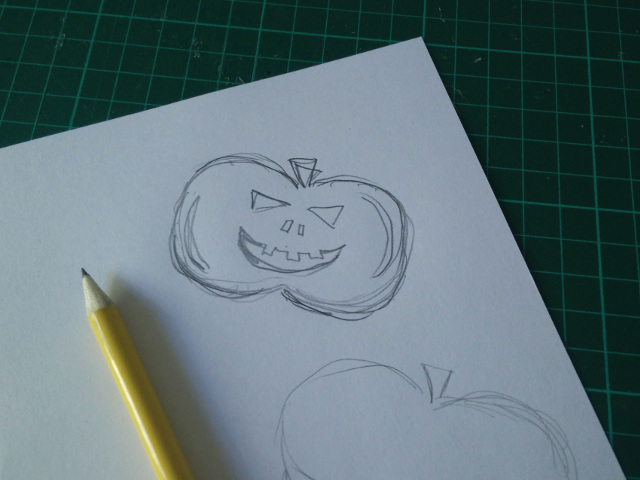 I drew my designs on a piece of paper to decide on the image and its size. You could also print shapes out at this point if you don’t feel up to drawing them. Make sure the shapes are small enough to fit inside your jam jar. 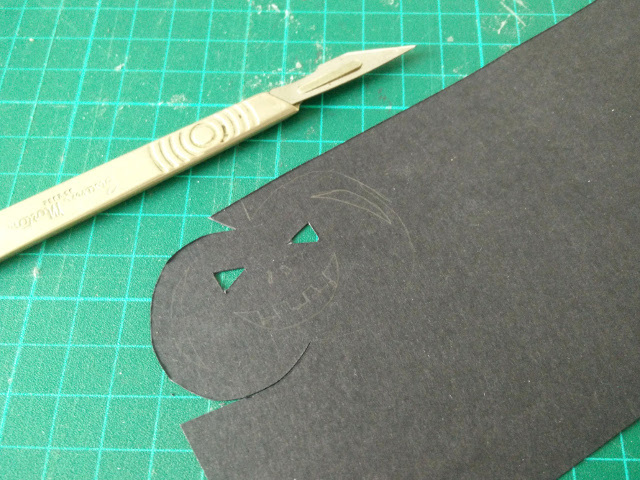 I cut around my paper design and then used this as a stencil to mark and cut out the shapes from the thicker black card. I used two different shapes for each jar, one on each side. 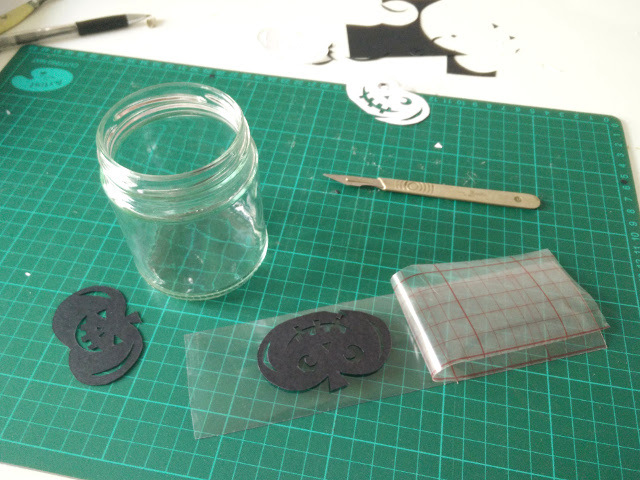 I used styrene to stick the shapes to the inside of my jars. 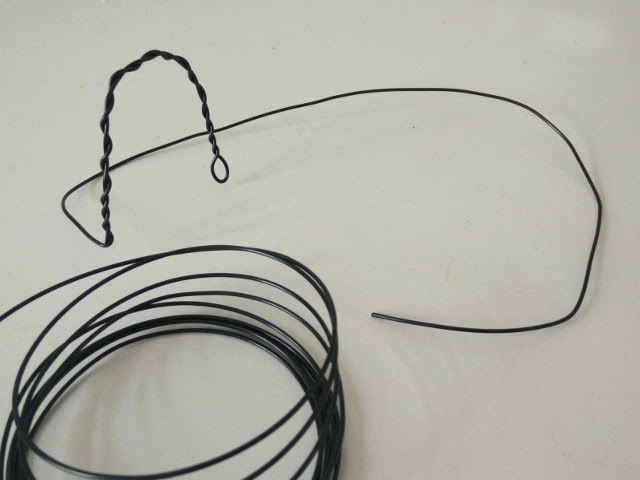 This is a kind of heat resistant sticky back plastic used for making lamp shades. I had some left over from making a cardboard lampshade. 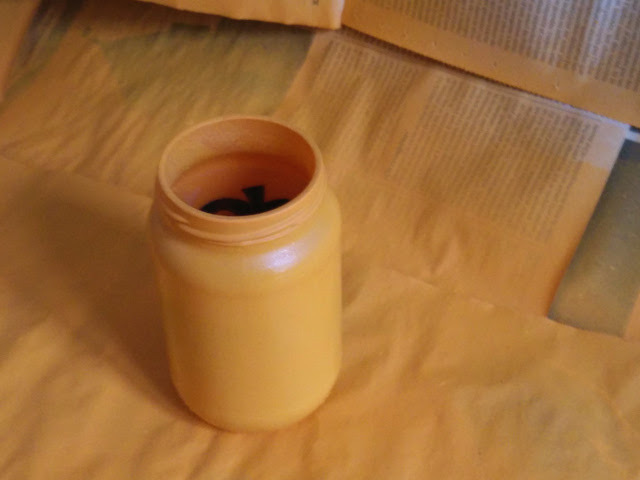 You could equally stick the shapes directly to the inside of your jar with glue, but in that case, be careful about using an open flame next to the paper – maybe you could use electric tealight instead. I cut a strip of styrene the same height as the flat part of the jam jar, long enough to fit inside the jar. 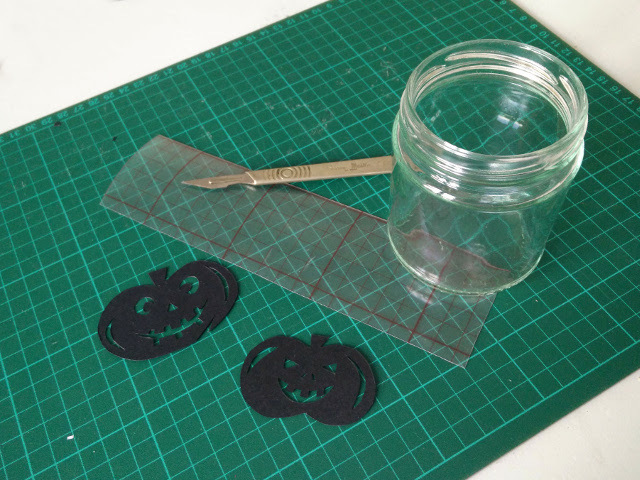 I stuck the cardboard shapes to it, then carefully placed it inside the jar, sticking it to the sides. Once your shapes are inside the jar, you need to paint the outside of the jars. I used orange spray paint, but you could use any colour you like. However, I think light colours will work best, as the light will shine less well through darker colours. You could also try applying acrylic paint with a sponge if you dont have spray paint. If you are spraying make sure to do so in a well ventilated and protected area. I used about three coats to completely cover the jars, letting them dry between each one. 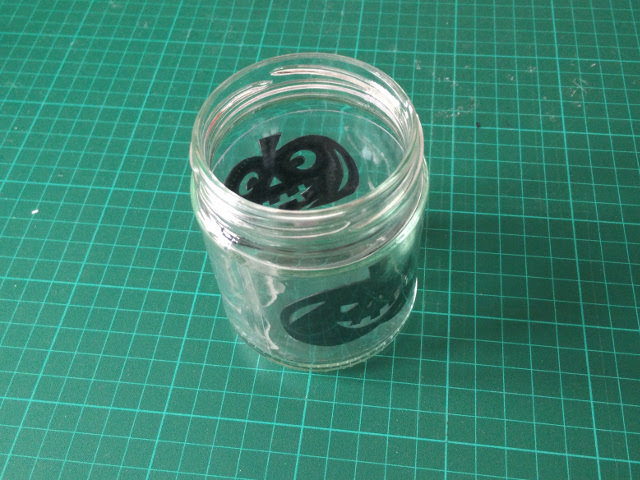 As a finishing touch, I used black wire to attach a handle to turn the jars into lanterns. This also means you can hang up the lanterns more easily. 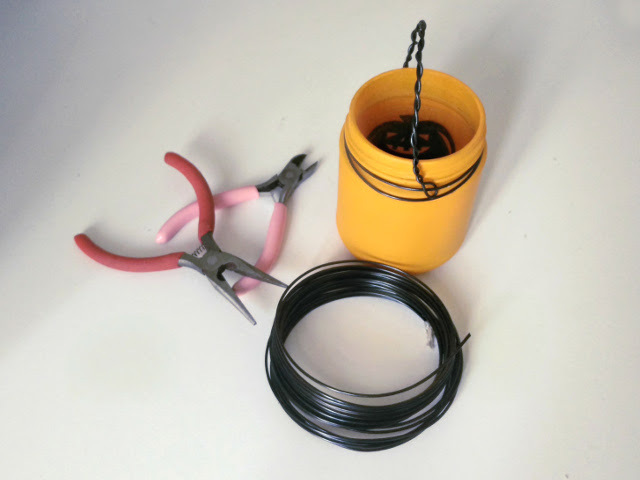 Simply wind the wire around itself to make a handle, then wrap tightly around the jar to secure it. This is an optional, decorational touch, and you could also add other things to the jars to embellish them : ribbons, fake blood, glitter, string etc.